MARK HINDLEY began his musical life as a Chorister at Lichfield Cathedral. It was here that he began to play the organ, progressing to Malvern College before being awarded an Organ Scholarship to Sidney Sussex College, Cambridge where he studied with David Sanger. Although he initially qualified as a doctor, his passion for music enticed him away from continuing a career in medicine. His musical background led naturally to many years of close involvement in church music, holding positions at St Matthew's Church Northampton, St Paul's Cathedral Dundee and Great St Mary's Church Cambridge. In 2003 he returned to Scotland to take up the position of Chorusmaster with the Scottish Chamber Orchestra. This marked a change of emphasis to working mainly in secular contexts. 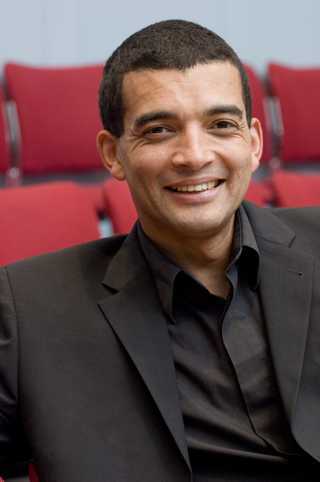 Since then, he has worked with choruses and choirs across Europe including Edinburgh Festival Chorus, Royal Northern Sinfonia Chorus, Huddersfield Choral Society, Leeds Philharmonic Chorus, Dortmund Philharmonic Choir, Leeds Festival Chorus, Royal Scottish National Orchestra Chorus and Radió Teilifís Éireann (RTÉ) Philharmonic Choir, whose Chorusmaster he was from 2012 until 2018. He has established close working relationships through preparing and training choirs for many leading conductors including the late Charles Mackerras, Jac van Steen, Kenneth Montgomery, Thierry Fischer, David Hill and Matthew Halls. Mark also regularly directs orchestral forces. Recently this included his debut with RTÉ National Symphony Orchestra in the concluding concert of the Composing the Island Festival in September 2016 and a critically acclaimed performance of Handel's Messiah in January 2017. On a smaller scale, since 2009, Mark has been Musical Director of the Cumbrian chamber choir, the Wordsworth Singers, with whom he has established a reputation for adventurous programming and exciting, vibrant performances. He also works regularly with Glasgow Chamber Choir and has been a guest director of the Calton Consort. In 2015 he founded a new choir, the Scottish Vocal Ensemble, which draws together the finest choral singers from across Scotland and northern England. When he is not directing, Mark maintains a busy schedule as a freelance organist and harpsichordist. He plays regularly with the Royal Scottish National Orchestra and Royal Northern Sinfonia and has been invited to perform as soloist in many of the major venues across the UK, France, Germany, Belgium, Spain, Poland and the USA. Plans for 2019 include his first appearance in Canada.